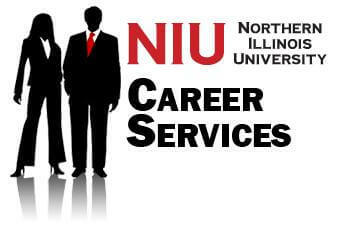 Career Services is in full swing with a number of opportunities for students to pursue the next steps in their futures. The Graduate and Professional School Fair will take place from 10 a.m. to 3 p.m. Tuesday, Oct. 5 in the Holmes Student Center. Relieving anxiety is one of the areas where these professionals can assist. A number of suggestions have been developed for students to utilize. “This is about coaching students on how to approach representatives at the GPS Fair,” said Barbara Fouts, assistant director in Career Services. Take time to review the list of represented schools and programs. Allow enough time to meet with as many representatives as possible. Identify questions to ask the representatives. (Sample questions will be available in literature at the fair). Introduce yourself with confidence. Make good eye contact. Offer a firm handshake. Tell each representative about your academic and career interests. Collect materials related to program of interest and information about services for prospective students. Thank representatives for their time and ask for a business card. Review the printed materials, DVDs, your notes, and other resources collected at the fair. Look for additional information about the degree programs on school websites. Use business card(s) to ask for assistance in connecting with key people (advisers, faculty) who may help you learn more about your areas of interest. Attend the Internship Fair (Oct. 6) and the Job Fair (Oct. 20) to further explore options.